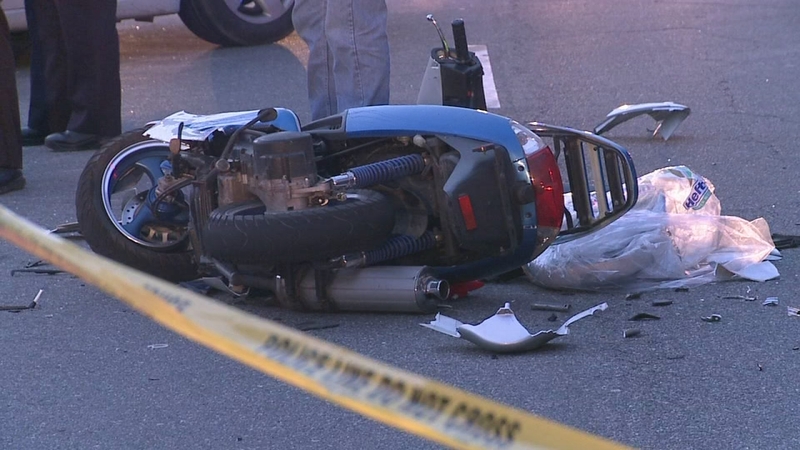 The driver was killed when the moped hit the side of a car. DURHAM (WTVD) -- The driver of a moped was killed in an accident on North Roxboro Street near Rippling Stream Road in Durham. It happened around 7 a.m. Friday. Police said 49-year-old Quince Adam Pressley, of Durham, was headed north when his bike collided with a car turning left into a parking lot. The driver of the car was not seriously hurt. Police said the incident was still under investigation and charges have yet to be filed.